Meadow Run Gardens is located in Augusta County, Virginia at the corner of Long Meadow Road & Hermitage Road. 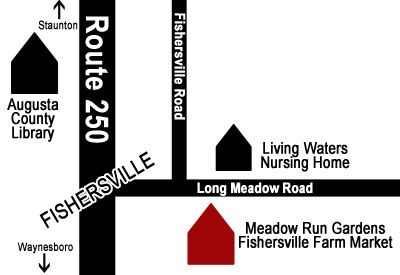 Owners Ronnie & Roxice Crickenberger invite you to stop by their produce outlet, Fishersville Farm Market, and try their high quality fresh produce! Visit our photo gallery! 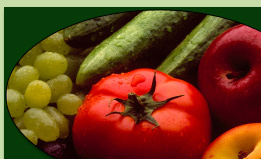 or just use our contact form.
. Meadow Run Gardens produce outlet, Fishersville Farm Market, is located in Fishersville, Virginia at the corner of Long Meadow Road & Fishersville Road. We are across from the Living Waters Nursing Home. If you need detailed directions, please click here.